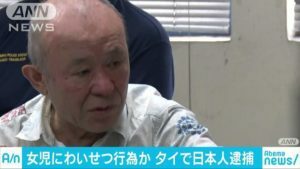 TOKYO (TR) – Following the emergence earlier this month of a video seeming to show missing journalist Junpei Yasuda, another clip appearing to show him has surfaced on the internet, reports TBS News (July 31). “Today is July 25, 2018,” the person believed to be Yasuda, 44, said in Japanese in the newly found 18-second-long video. “These are very serious circumstances.” He also said that he is a Korean national named Umar. In the clip, the man, who sports a gray and black beard, is positioned in front of two masked persons holding assault rifles. Yasuda went missing in July of 2015, shortly after secretly crossing into Syria from Turkey. He went into the country to report on issues such as the execution of freelance journalist Kenji Goto, who was killed after being captured by Islamic State militants that same year. Al-Nusra Front, a Sunni Islamist militia aligned with al-Qaida, is believed to have captured Yasuda. Previous reports indicated that they are seeking a ransom. The government of Japan has not confirmed whether the persons in either of the videos that emerged this month is in fact Yasuda.